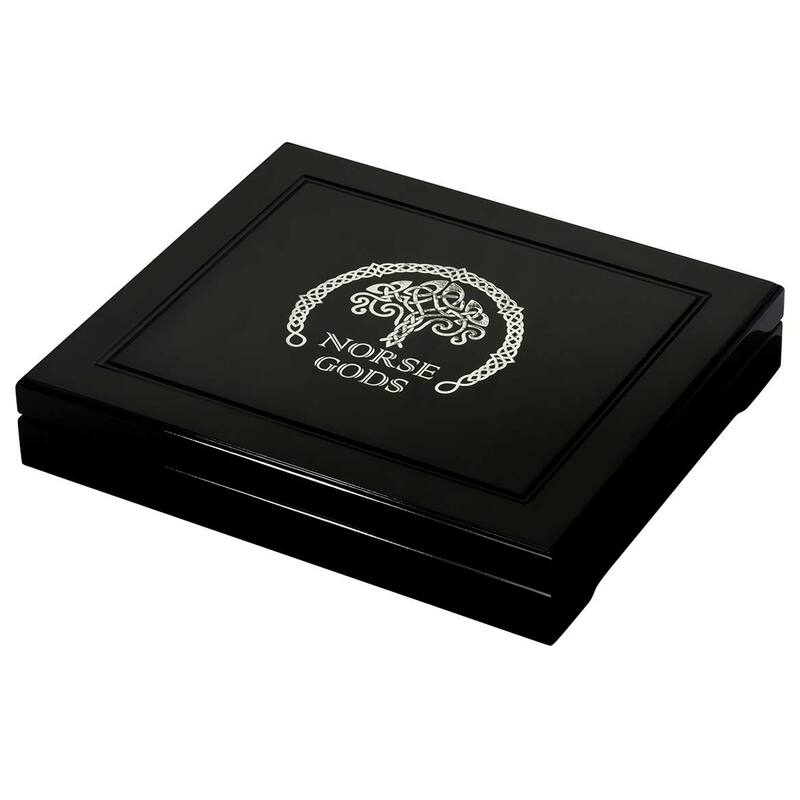 Ancient gods have spawned a healthy new selection of numismatics over the last couple of years, featuring deities worshipped in ancient times. Fortunately in those polytheistic times, there were no shortage of gods and thus no shortage of subjects for new coins. Equally fortunately, most of them are resplendent with striking imagery and fascinating stories of their origins and adventures. 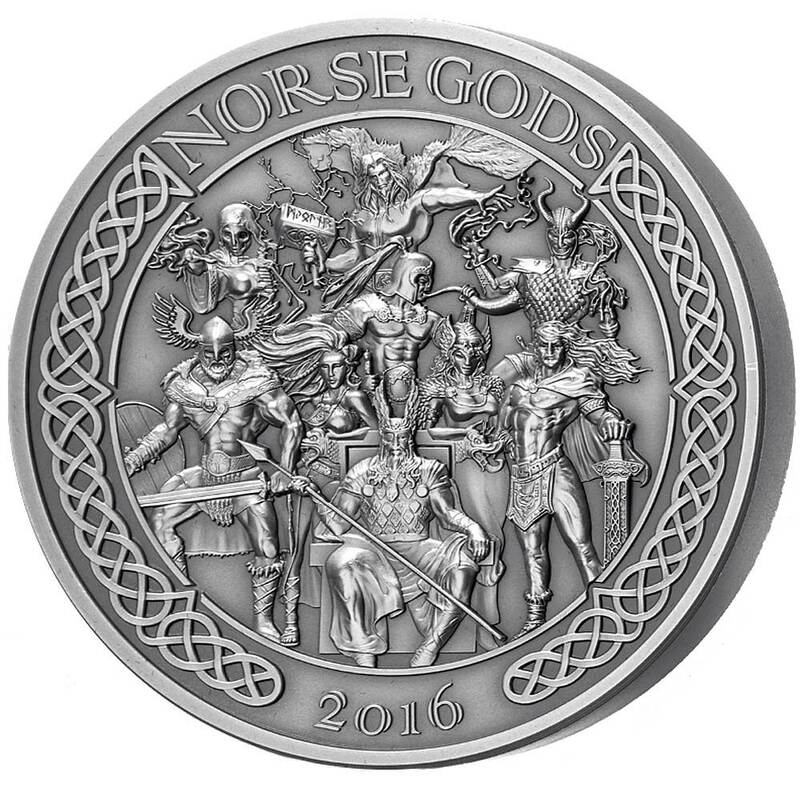 First choices are usually the Roman or Greek gods, but we think the Norse gods are far more interesting, and it seems many mints agree. 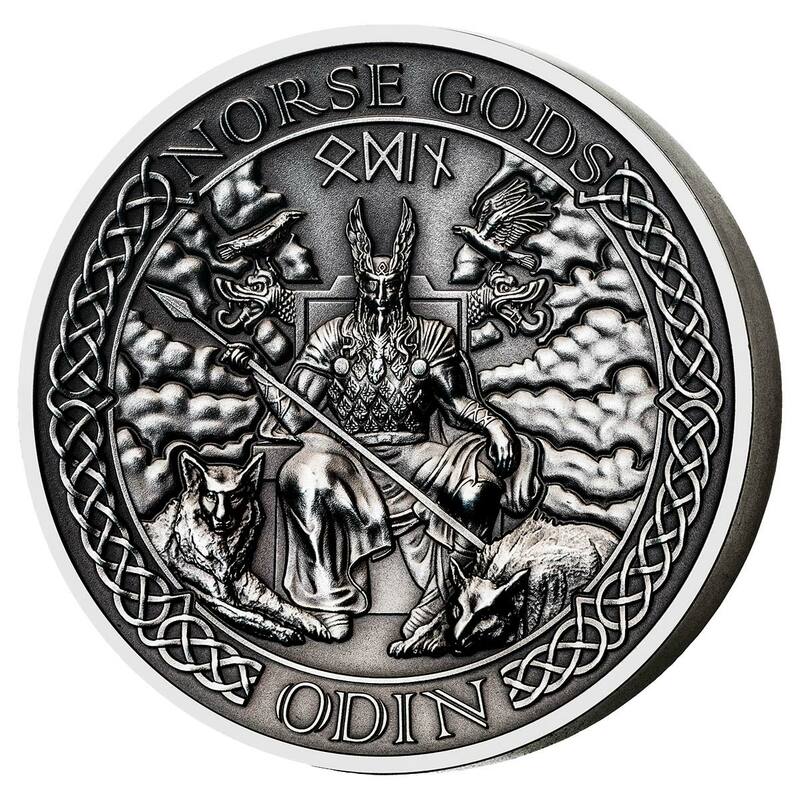 One of the bigger sets of coins featuring Norse mythology, the nine-coin Norse Gods series debuted in September 2015 with a pair depicting the two big guns, Odin and Thor. The second pair arrived in November of the same year and featured two lesser deities, Hel and Tyr. February 2016 saw some more high profile Asgardians, Heimdall and Loki, and a seventh, Frigg, debuted in May. 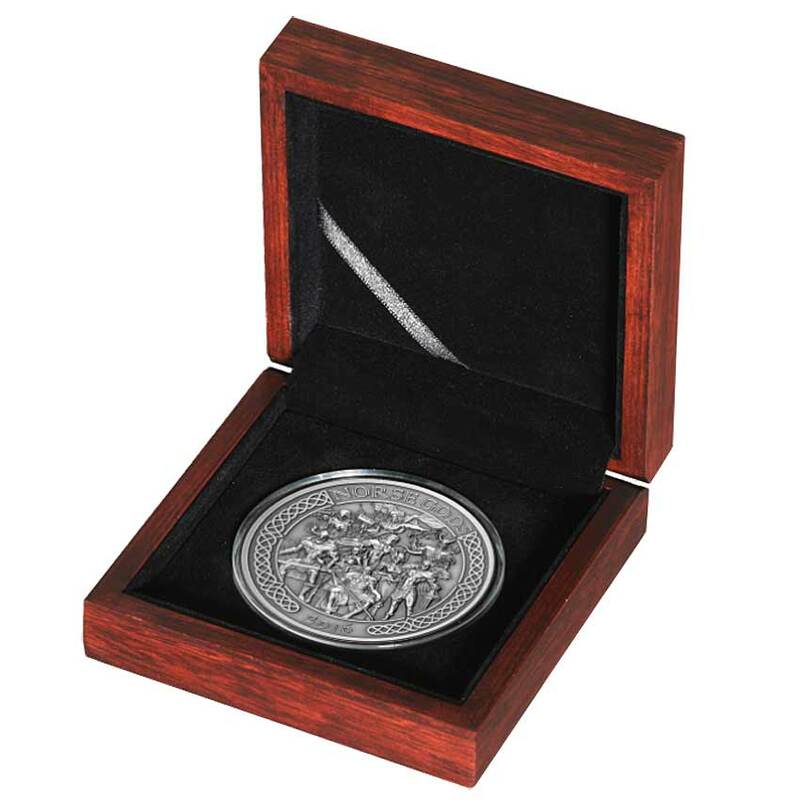 Following the trend for antique finish and high-relief, these are two-ounce (62.2g) fine silver coins, and far more classical in design than the Perth Mints Gods & Goddesses of Olympus ranges. They certainly don’t enjoy the Max Relief of the superb Legends of Asgard series from the Choice Mint, but these are impressive designs regardless , and shaping up to be a really excellent set. 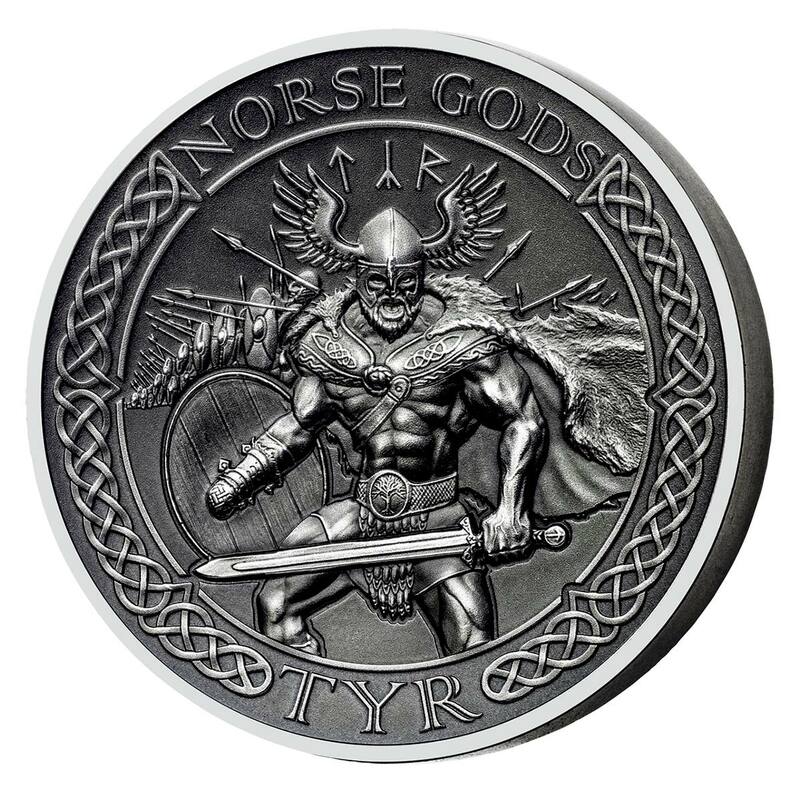 Unlike the Choice Mint coins, whose range of subjects will encompass not just the gods, but also the many facets of Norse mythology, this series is concentrating only on the main pantheon of gods, of which there are numerous characters. The coins are chunky beasts, choosing to keep the diameter at a standard 38.6mm and using the extra metal to greatly increase the thickness of the clean rimmed coin. We’re not great fans of this and would rather see some of that extra metal used to extend the diameter to 45mm or more, but that’s a minor criticism at best. Like many high-relief coins, there appears to be a slight concavity to the reverse side, thus enhancing the effect. 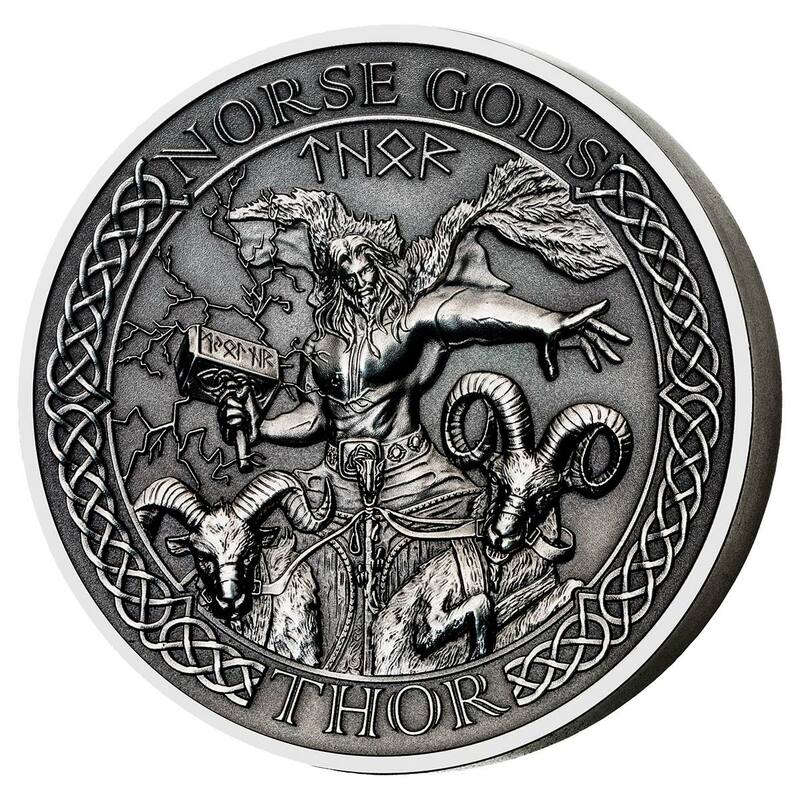 The artwork is attractive, for us especially so on the Thor coin, and the written inscriptions are well integrated into the design, consistent and not excessive. Overall, we’re impressed with this series, the art design being different enough to the other coins in this genre to warrant a second look on that point alone. Struck by the masters at BH Mayer in Germany, undoubtedly one of the very best mints in the world from both a quality and a technical point, there are few qualms on quality and collectors will find little to complain about. It looks like all nine coins will have been released in under a year, so while each coin is cheaper than the average for this burgeoning genre, the condensed release schedule still commands a sizeable investment over a relatively short period, more than double pretty much every other competing series. Selling for around the €100 mark, they’re pretty good value given the pedigree and limited mintage, and deserve to be far more popular, something the recent appearance of the set at the Royal Canadian Mint will do a lot to rectify. At the time of writing two coins are yet to break cover, but we’ll add them as time goes on. Chief of the Aesir tribe of deities, Odin was a giver and seeker of wisdom, often venturing far from Asgard in the pursuit of knowledge. In Norse mythology, Odin is associated with healing, death, royalty, the gallows, knowledge, battle, sorcery, poetry, frenzy, and the runic alphabet, and is the husband of the goddess Frigg. Odin was known in Old English as Wōden, in Old Saxon as Wōdan, and in Old High German as Wōtan, giving his name to Wednesday, or Wodans Day. In Old Norse texts, Odin is depicted as one-eyed and long-bearded, frequently wielding a spear named Gungnir, and wearing a cloak and a broad hat. 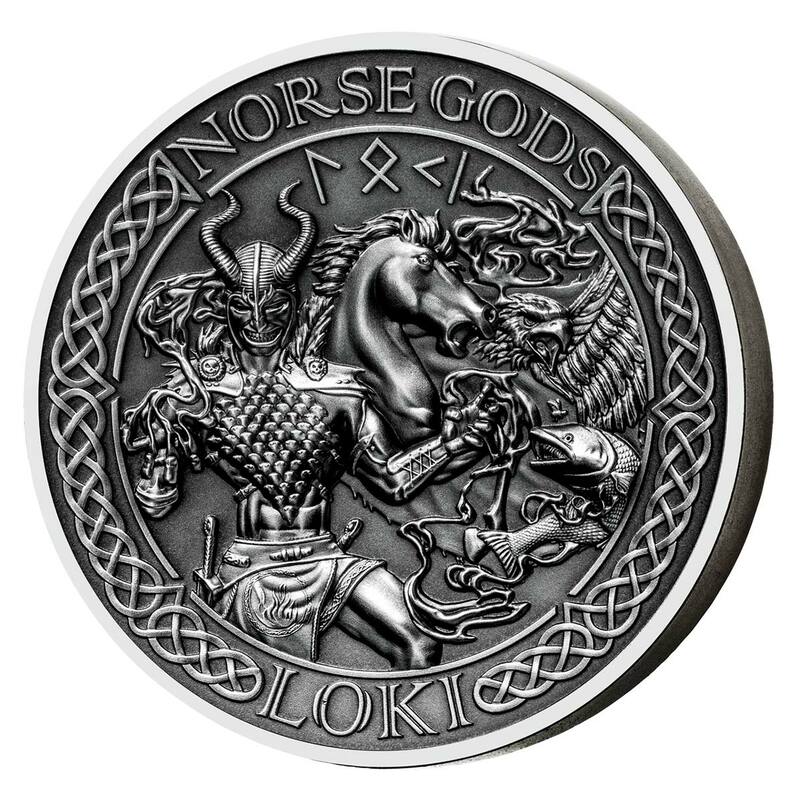 He is often accompanied by his animal companions—the wolves Geri and Freki and the ravens Huginn and Muninn, who bring him information from all over Midgard—and Odin rides the flying, eight-legged steed Sleipnir across the sky and into the underworld. Odin is attested as having many sons, most famously the god Baldr with Frigg, and is known by hundreds of names. In these texts, Odin frequently seeks knowledge in some manner and in disguise (most famously by obtaining the Mead of Poetry), at times makes wagers with his wife Frigg over the outcome of exploits, and takes part in both the creation of the world by way of slaying the primordial being Ymir and the gift of life to the first two humans Ask and Embla. Odin has a particular association with Yule, and mankind’s knowledge of both the runes and poetry is also attributed to Odin. The hammer-wielding god Thor is associated with thunder, lightning, storms, oak trees, strength, the protection of mankind, and also hallowing, healing and fertility. Thor is frequently referred to in place names and gave his name to the day of the week Thursday (Thors Day). In Norse mythology, largely recorded in Iceland from traditional material stemming from Scandinavia, numerous tales and information about Thor are provided. In these sources, Thor bears at least fourteen names, is the husband of the golden-haired goddess Sif, is the lover of the jötunn Járnsaxa, and is generally described as fierce-eyed, red-haired and red-bearded. With Sif, Thor fathered the goddess (and possible valkyrie) Þrúðr; with Járnsaxa, he fathered Magni; with a mother whose name is not recorded, he fathered Móði, and he is the stepfather of the god Ullr. The same sources list Thor as the son of the god Odin and the personified earth, Fjörgyn, and by way of Odin, Thor has numerous brothers. A Germanic god associated with law and heroic glory in Norse mythology. In the late Icelandic Eddas, Týr is portrayed, alternately, as the son of Odin (Prose Edda) or of Hymir (Poetic Edda), while the origins of his name and his possible relationship to Tuisto suggest he was once considered the father of the gods and head of the pantheon. It is assumed that Tîwaz was overtaken in popularity and in authority by both Odin and Thor at some point during the Migration Age, as Odin shares his role as God of war. Týr is a god of war and will take mead, meat and blood for sacrifice. If a warrior carved the rune Tîwaz on his weapon he would be dedicating it to Týr and strengthen the outcome of a battle to be in his favor. After a warrior has dedicated his weapon to Týr he should not lose it or break it. Tiw was equated with Mars in the interpretatio germanica. Tuesday is in fact “Tīw’s Day”. An Eddic poem, the Lokasenna, mentions that Tyr lost one of his hands to the wolf Fenrir, one-handed-ness seems to be one of his defining attributes. According to the Prose version of Ragnarök, Týr is destined to kill and be killed by Garm, the guard dog of Hel. However, in the two poetic versions of Ragnarök, he goes unmentioned; unless one believes that he is the “Mighty One”. Týr was known for his great wisdom and courage. A god who possesses the resounding horn Gjallarhorn, owns the golden-maned horse Gulltoppr, has gold teeth, and is the son of Nine Mothers, Heimdallr is attested as possessing foreknowledge, keen eyesight and hearing, and is described as “the fairest of the Æsir”. He keeps watch for the onset of Ragnarök while drinking fine mead in his dwelling Himinbjörg (“Sky Cliffs”), located where the rainbow bridge Bifröst meets Asgard, the world of the gods. He is said to require little sleep, be able to see for hundreds of miles at night or during the day, and to be able to hear grass or wool growing. 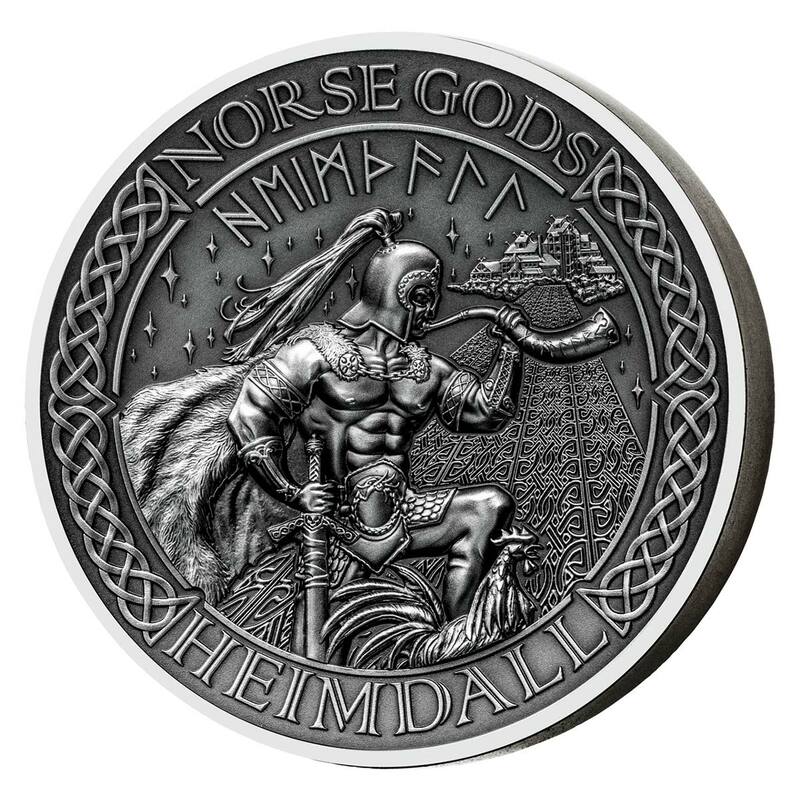 Heimdallr is said to be the originator of social classes among humanity and once regained Freyja’s treasured possession Brísingamen while doing battle in the shape of a seal with Loki. Heimdallr and Loki are foretold to kill one another during the events of Ragnarök. Scholars have produced various theories about the nature of Heimdall, including his apparent relation to rams, that he may be a personification of or connected to the world tree Yggdrasil, and potential Indo-European cognates. In Norse mythology, Loki is a god or jötunn (giant). Loki is the son of Fárbauti and Laufey, and the brother of Helblindi and Býleistr. 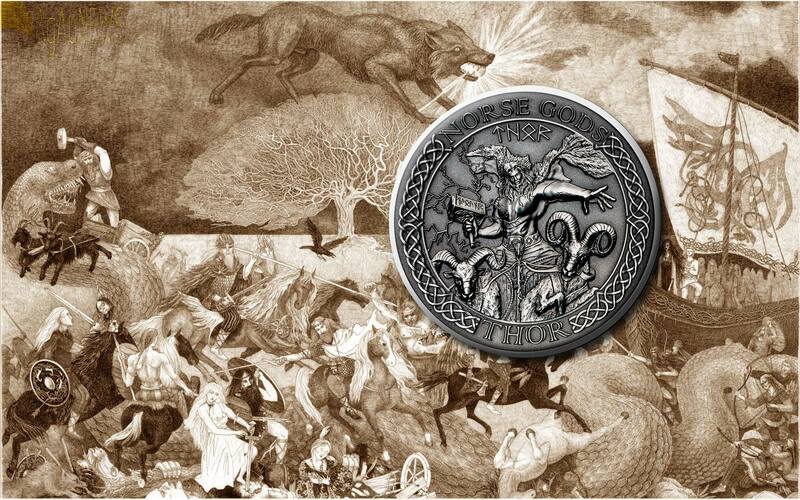 By the jötunn Angrboða, Loki is the father of Hel, the wolf Fenrir, and the world serpent Jörmungandr. By his wife Sigyn, Loki is the father of Narfi and/or Nari. By the stallion Svaðilfari, Loki is the mother—giving birth in the form of a mare—to the eight-legged horse Sleipnir. In addition, Loki is referred to as the father of Váli in the Prose Edda. Loki’s relation with the gods varies by source; Loki sometimes assists the gods and sometimes behaves in a malicious manner towards them. Loki is a shape shifter and in separate incidents he appears in the form of a salmon, a mare, a seal, a fly, and possibly an elderly woman named Þökk (Old Norse ‘thanks’). Loki’s positive relations with the gods end with his role in engineering the death of the god Baldr and Loki is eventually bound by the gods with the entrails of one of his sons. In both the Poetic Edda and the Prose Edda, the goddess Skaði is responsible for placing a serpent above him while he is bound. The serpent drips venom from above him that Sigyn collects into a bowl; however, she must empty the bowl when it is full, and the venom that drips in the meantime causes Loki to writhe in pain, thereby causing earthquakes. With the onset of Ragnarök, Loki is foretold to slip free from his bonds and to fight against the gods among the forces of the jötnar, at which time he will encounter the god Heimdallr and the two will slay each other. 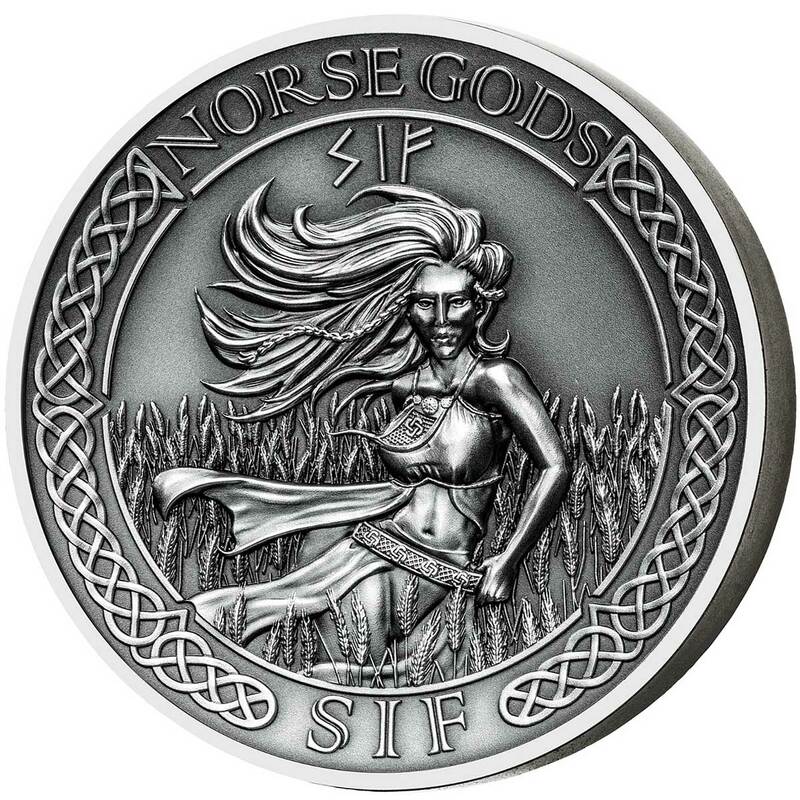 In Norse mythology, Sif is a goddess associated with earth. Sif is attested in the Poetic Edda, compiled in the 13th century from earlier traditional sources, and the Prose Edda, written in the 13th century by Snorri Sturluson, and in the poetry of skalds. In both the Poetic Edda and the Prose Edda, Sif is the wife of the thunder god Thor and is known for her golden hair. In the Prose Edda, Sif is named as the mother of the goddess Þrúðr by Thor and of Ullr with a father whose name is not recorded. The Prose Edda also recounts that Sif once had her hair shorn by Loki, and that Thor forced Loki to have a golden headpiece made for Sif, resulting in not only Sif’s golden tresses but also five other objects for other gods. Scholars have proposed that Sif’s hair may represent fields of golden wheat, that she may be associated with fertility, family, wedlock or that she is connected to rowan, and that there may be an allusion to her role or possibly her name in the Old English poem Beowulf. Sif’s name means”relation by marriage”. 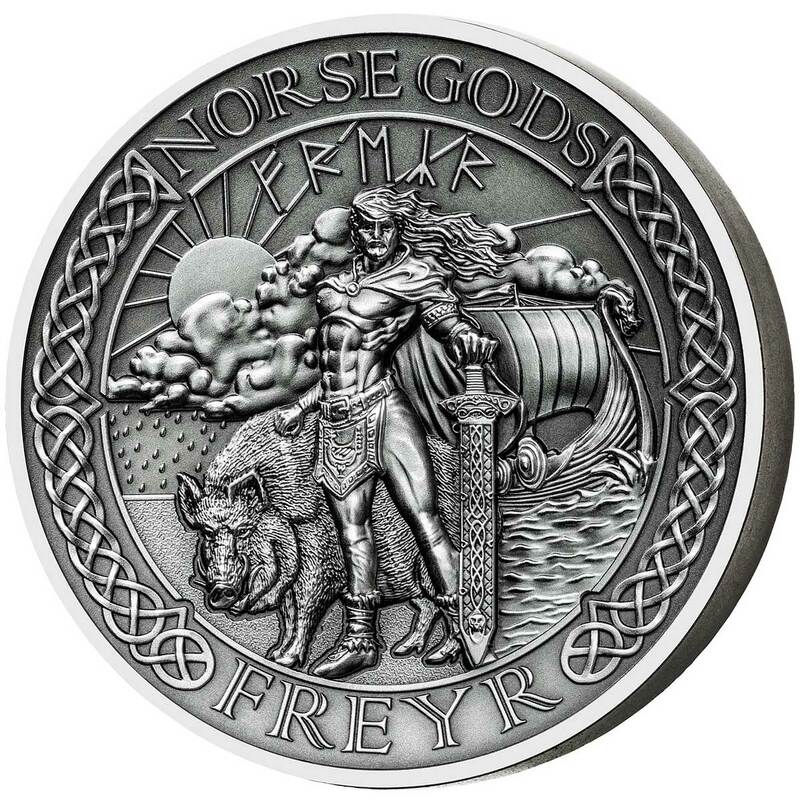 The god Freyr is one of the most important gods of Norse religion. Freyr was associated with sacral kingship, virility and prosperity, with sunshine and fair weather, and was pictured as a phallic fertility god; Freyr is said to “bestow peace and pleasure on mortals.” Freyr, sometimes referred to as Yngvi-Freyr, was especially associated with Sweden and seen as an ancestor of the Swedish royal house. 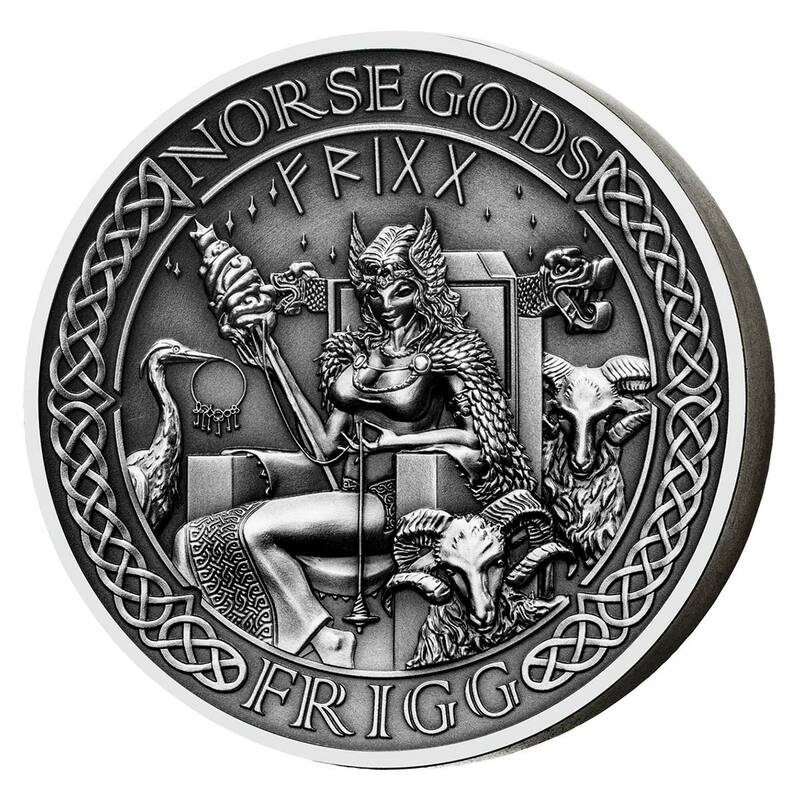 In the Icelandic books the Poetic Edda and the Prose Edda, Freyr is presented as one of the Vanir, the son of the sea god Njörðr, as well as the twin brother of the goddess Freyja. The gods gave him Álfheimr, the realm of the Elves, as a teething present. He rides the shining dwarf-made boar Gullinbursti and possesses the ship Skíðblaðnir which always has a favorable breeze and can be folded together and carried in a pouch when it is not being used. He has the servants Skírnir, Byggvir and Beyla. The most extensive surviving Freyr myth relates Freyr’s falling in love with the female jötunn Gerðr. Eventually, she becomes his wife but first Freyr has to give away his magic sword which fights on its own “if wise be he who wields it.” Although deprived of this weapon, Freyr defeats the jötunn Beli with an antler. However, lacking his sword, Freyr will be killed by the fire jötunn Surtr during the events of Ragnarök. 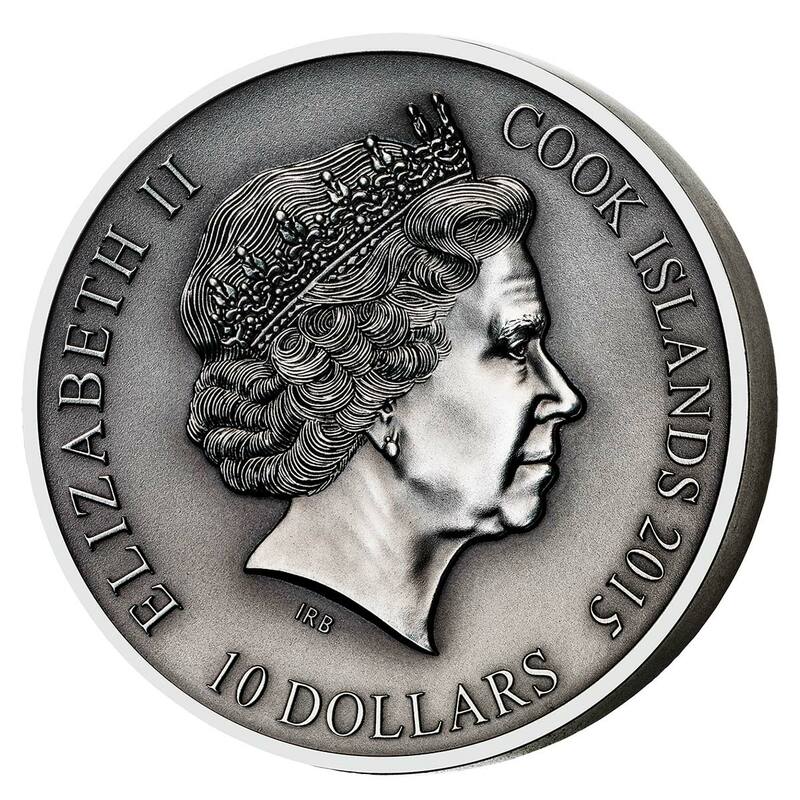 The obverse is common to all of the coins and as they’re issued for the Cook Islands, it’s the usual effigy of Queen Elizabeth II in attendance, in this case the popular one by Ian Rank Broadley. Her name, the denomination, and the issuing country are all inscribed around the rim. 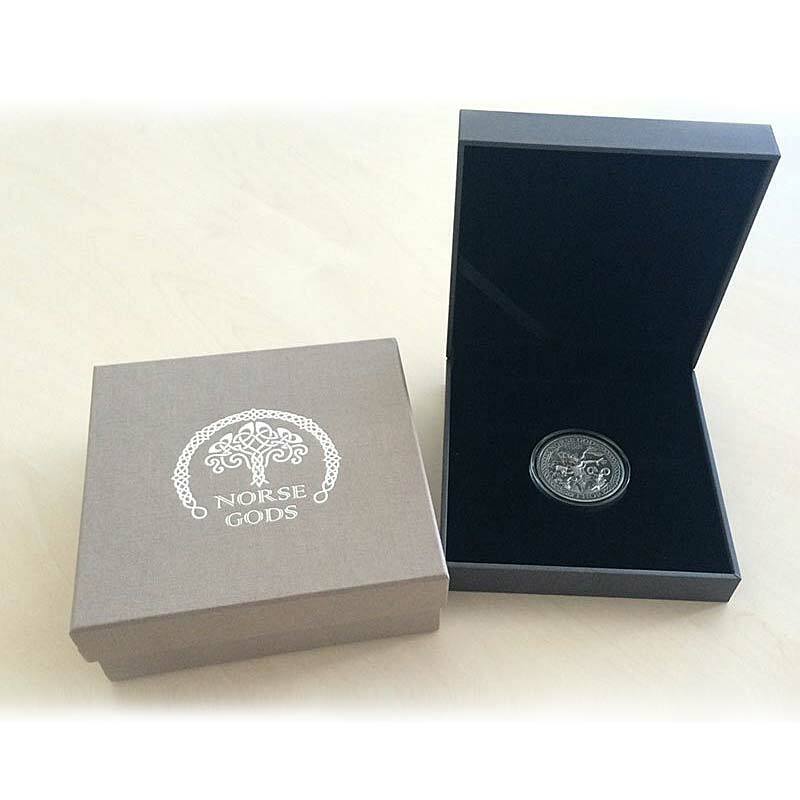 The individual coins come packaged in a good quality box with a Certificate of Authenticity, all wrapped up in an understated shipper. The Royal Canadian Mint have started to sell these coins, we believe almost half the mintage going there, and as part of the subscription there will be a free collectors box given with the fourth coin recieved. The RCM are past masters at the subscription model and the box is no cheap cardboard affair, but rather a high-gloss black box with a fully customised interior. It looks excellent and really lifts the set up a level. 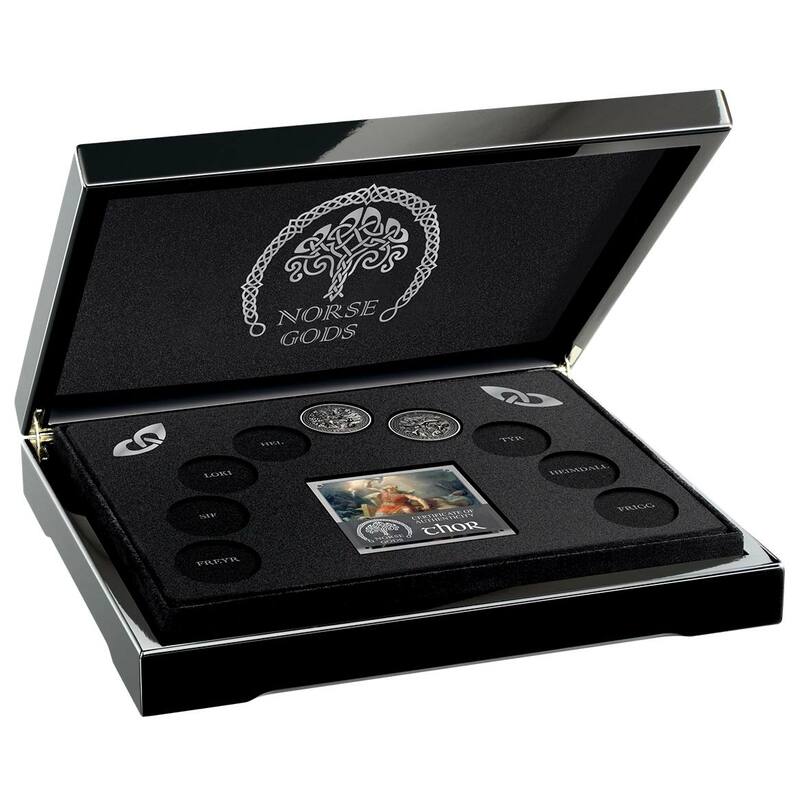 Unfortunately, the downside to the RCM way of selling is that individual coins come with no box of their own so you’ll need to buy at least four to get the collection box. It doesn’t seem to be available seperately for those who’ve been buying coins elsewhere since last year. At the time of writing, the RCM are claiming an 82% sell-out of the 450 sets they procured. 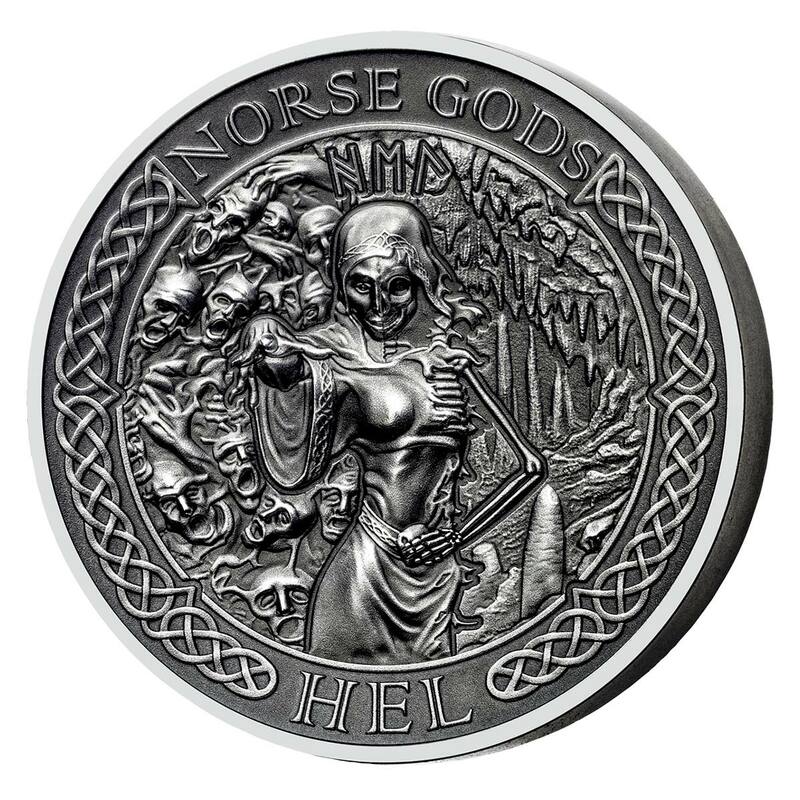 As a nine-coin series is out of the reach of many collectors, MDM has launched a solitary five-ounce coin carrying an amalgamation of the artwork on the nine individual coins. In all the major aspects, the new coin is identical in design and implmentation to the smaller set, but at 2½ times the weight, it benefits from a healthy 65.0 mm diameter. Of course it has to fit a lot more on, but it’s a considerably more successful result than you’d expect when someone states they’re merging nine pieces of art into one. 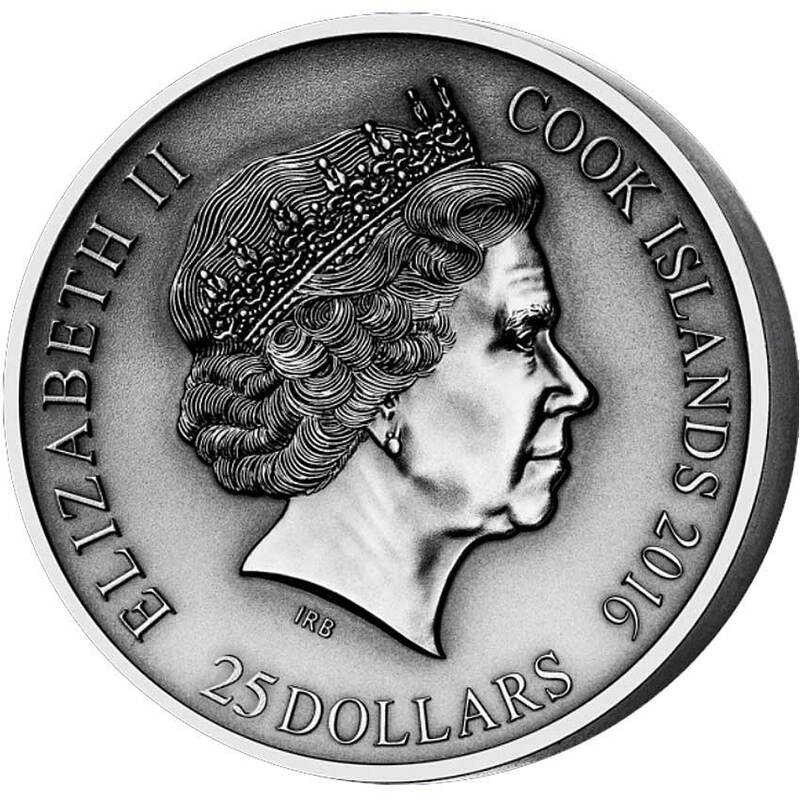 The obverse is a typical Queens head design used commonly with Cook Islands issues only this time at $25 instead of the $10 of the smaller coins. With nice packaging and a tight 500 mintage, this one will likely be a very popular numismatic in its own right. The design takes the main element of the nine smaller ones and forms a kind of Avengers Assemble look. Free of their respective backgrounds, the gods figures have come together superbly to form a pretty cohesive design. We like this one a lot, and those without the wherewithall or patience to collect the nine coins in the main set will find much to like in this compromise coin. 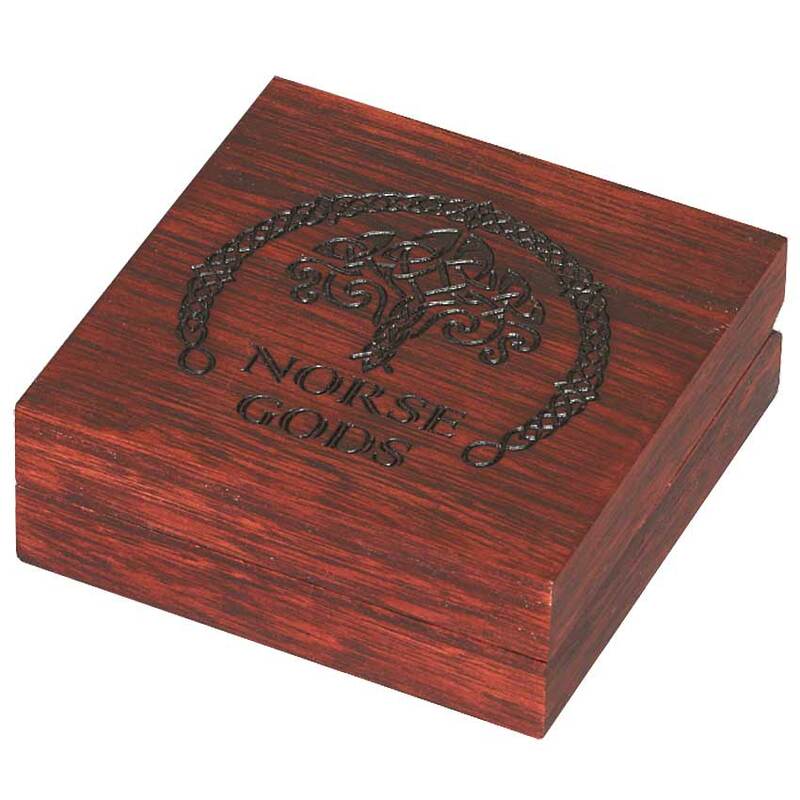 Obviously if you have the nine-coin set you’ll likely want this one as well, but bear in mind there’s no space in the collectors box for it.